How does a TV director turn her passion into a career? We got in touch with Tanya Balianytsia, author of Honey Tanie, to find out more about her work and love for seasonal foods and recipes. 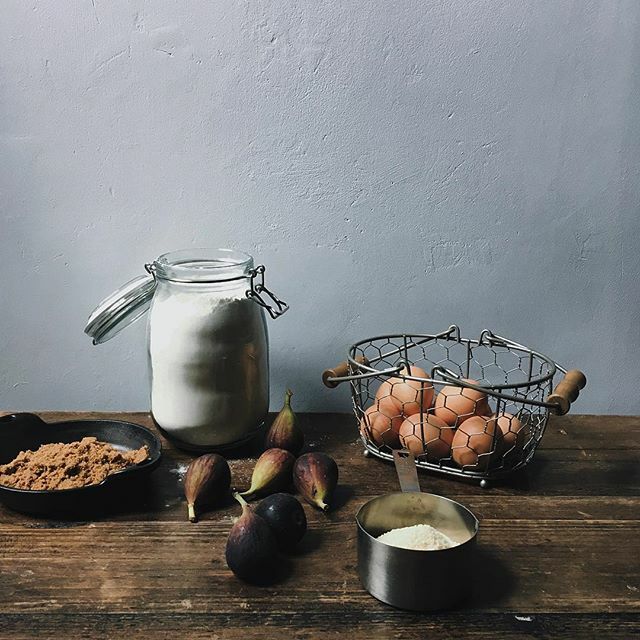 Balianytsia is a London based food photographer and stylist. I am passionate about natural light. I can say without any doubt that it is the most important detail in my works. It is so fascinating how light changes during the day and you can use it to make the right mood. I like nature and all that it gives to us - seasonal vegetables and fruits. That’s why I make simple but delicious homemade pies, crepes, cookies, jams, cakes all using seasonal products. The simpler the better! I think nothing could be more beautiful than a strawberry pie that you make the first day of summer or pumpkin pie which will warm you in October. I like what I do - working together with natural food and natural light. You have such an eye for food photography! What inspired you to get into this profession? Since I remember, I liked to spend my days in the kitchen watching my mama cooking dinner or making food on my own. As I grew up, I decided to work with documentaries on television. I love this genre because it’s all about life without filters. And when I realized that I needed to do something more creative I decided to combine the two things I loved the most - to cook and photography. I’m trying to capture every fruit, vegetable or food making process just like it is, beautiful in its nature. What is your go-to recipe after a long workday? When I’m tired or not in the right mood the best way to make myself feel better is cook something. It is my kind of meditation! And I like to make something simple like french toasts with berries or poached eggs on toast with salmon and avocado. The ladder works for me any time of the day. What are the challenges you've run into while building your career? When you are working on something you are passionate about you are always on your way to perfection. The most challenging part of my work is to find the right location to photograph. The place affects everything - light, background, and ultimately the feel of the shot. So I always spend a lot of time trying to find the perfect corner to take a picture of the food I make. What are 3 items everyone should have in their kitchen/workspace? In my opinion the size of kitchen doesn’t mean a lot but it definitely should be a well-equipped room. If talking about what are 3 items everyone should have, I’d name a good quality saucepan set, knifes, and of course the perfect oven - I’m still looking for my perfect one.